Santa Claus with Bag of Presents; sturdy cardboard stock; available in 4 sizes; 4x6, 5x7, and Fuji Instax; SOLD in Packages of 100. Snowman with Bag of Presents; sturdy cardboard stock; available in 4 sizes; 4x6, 5x7, and Fuji Instax; SOLD in Packages of 100. 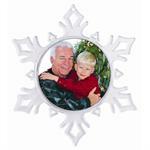 Just shake and watch the snowflakes cascade; holds two photos; insert Size: 1-3/4" x 2-3/4"; overall Size: 3-1/2" x 6-1/2"; individually boxed. 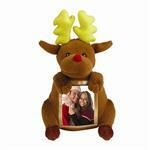 The lovable Reindeer Photo Plush Frame will absolutely put a smile on your face; Insert Size: 2-1/2" x 3-1/2"; Overall Size: 5-1/2" x 9"; insert slips into front clear pocket. 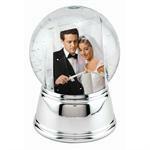 This photo snow globe has a pliable surface has a chrome base that looks like metal; photo insert size: 2" x 2-7/8"; overall height: 6"; SOLD wholesale in cases of 12. 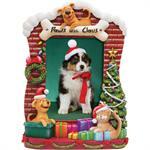 Get 4 holiday photo gifts an amazing price! 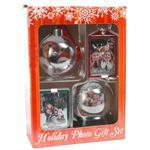 Included in this holiday photo gift set, an ornament ball, a snap-in keychain, a snap-in magnet, and a mini snow globe. 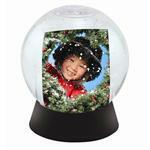 The inside of the photo snow globe contains snow and glitter flakes; insert size: 2-3/4" x 2-1/4" curved; SOLD wholesale in cases of 24. 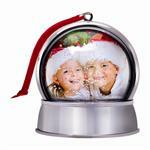 The Light Up Ornament holds two photos; shake to activate red/green/blue LED lights; the ornament is a clear round ball with a sliver bottom. Your Price: Sorry! This item has been discontinued by the manufacturer. 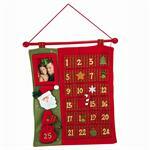 Christmas holiday countdown frame; holds a favorite photo; insert size: 3-1/2" x 5"; this decoration is sure to bring years of repeated use and holiday joy. Each pack contains 4 cards and 4 envelopes; 100 packs come in a case; insert size: 2" x 3"; item also makes a great thank you card for holiday gifts. The metal like design features a Christmas tree, bear, and snow covered logs; insert size: 3-1/2"x5"; makes a fabulous stocking stuffer. Handcrafted with intricate details; insert size: 4"x6"; makes the perfect Christmas gift; requires 2 AA batteries, not included. This holiday frame features a hand crafted design; insert size: 4"x6"; the photo holiday frame gingerbread men, candy canes, and a gingerbread house. Displays a single 2"x3" favorite photo for use as an ornament or free standing frame to bring holiday cheer to any room decor. Red acrylic ornament; photo insert size: 2-1/4" diameter; hole in upper left corner to put string or ribbon in and affix to tree; looks great on Christmas trees! Red acrylic ornament; photo insert size: 3" diameter; hole in upper left corner to put string or ribbon in and affix to tree; looks great on Christmas trees! Plastic ornament for Christmas trees; holds one 2-7/8" photo; makes a great personal gift; available in green, red, and white. Plastic ornament for Christmas trees; holds one 2-1/4" photo; makes a great personal gift; available in green, red, and white. This acrylic snowflake ornament is perfect for hanging on the tree. The snowflake ornament does not include a string. It's easy to snap in a 2-7/8" photo. 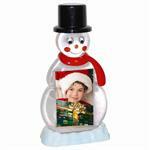 This acrylic snowflake ornament is perfect for hanging on the tree. The snowflake ornament does not include a string. It's easy to snap in a 2-1/4" photo. 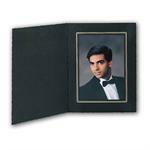 Chrome color plated metal; holds one photo; insert size: 1-5/8"; comes with attached red ribbon for hanging. 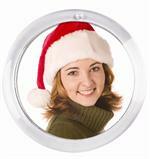 Made out of high quality acrylic; insert size: 2-7/8" diameter; string not included; easy snap-in assembly. 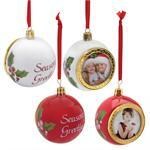 Includes 12 red and 12 white ornaments; holds one 2" diameter photo; 24 piece display. Easy swing-open shell design; insert size: 2-7/8" diameter; snap-off cap and hanger ribbon.